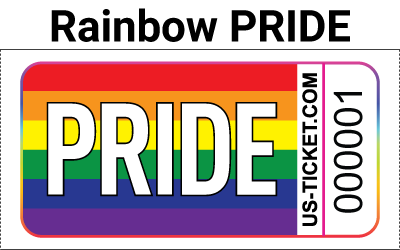 Our beautiful Rainbow pattern tickets are good for generic use for PRIDE events, raffles, fundraisers, parties and more! 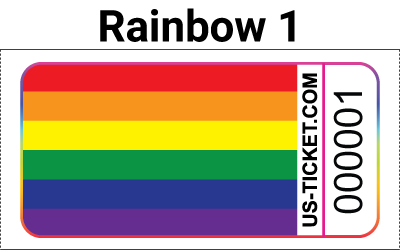 Our fun Premium Pattern Rainbow Roll Tickets are printed in bright colors on white paper stock with sequential numbering inside each roll. 1,000 tickets per roll. Customization available for any event. Please call or e-mail a customer service representative today to create the perfect ticket for YOUR event!